Dr. Strub grew up in a small town in Wisconsin. He is a 2006 graduate of the University of Wisconsin Green Bay, with a B.S. in Human Biology and Chemistry. He continued his education at the Medical College of Wisconsin, receiving a Master of Science in Epidemiology in 2009. Dr. Strub completed dental school at Marquette University School of Dentistry and graduated with his Doctorate of Dental Surgery in 2013. Dr. Strub joined Southern Family Dental Group in September of 2015. He has previously worked as a general dentist, focusing on comprehensive dental care. Dr. Strub is an active member of the American Dental Association, as well as the Georgia Dental Association and the Southeastern District Dental Society. He also is involved is continuing education within these organizations. 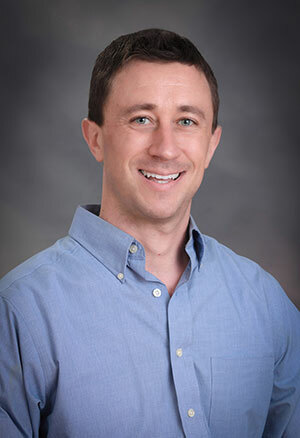 Dr. Strub enjoys cooking, playing the piano, backpacking, and scuba diving. He and his wife Shawna are travel enthusiasts and like finding themselves in new environments. He also enjoys giving back to the community and is involved in several charity programs. He was a contestant in Statesboro's Dancing with The Stars in 2017. Dr. Strub and Shawna welcomed their first child, a baby girl, Emerson in the summer of 2017. Dr. Strub’s patients can rest assured that their dental visit will be a stress-free experience. He actively listens to all his patients and keeps all communication open.